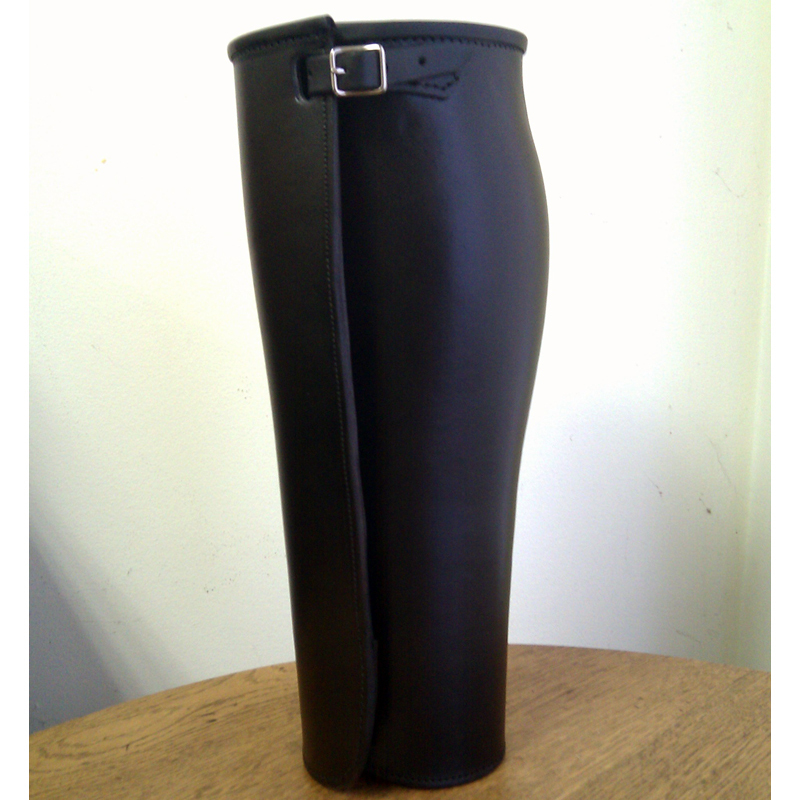 Traditional style leather leggings for motorcycle riders. These are made of fine USA tanned cowhide and finished to provide durable good looking protection while on a bike. Since they are custom made to your measurements, please contact us for measurement details required.